Four Parishes, Six Churches, One Vision. Is God calling you to share in the next exciting stage of our collective journey? The Turton Moorland team is a group of well-established church communities in contexts where the traditional expectations of church are still important. There are significant numbers of occasional offices; missional opportunities through which to share in the profound moments of our community’s life. As a team we also believe that we need to be “A Church for a Different World,” and as such are working to find new ways to reach out, especially towards children and young people. a collaborative leader, willing and able to share leadership. Day to day responsibility for Turton St Anne and Edgworth, St James. Lead the further development of the Turton Moorland Team; maintaining and improving informal expressions of the team and strengthen the infrastructure. To develop the depth of the faith and spiritual life of both ordained and lay within the team. To contribute to the development of youth work both in the church and in the community, through the work of the Turton Youth Church. Person who can respect, work with and lead a range of liturgical traditions across the Team. Experience of collaborative team ministry; willing and able to share leadership. A leader who encourages and develops the gifts of others. Experience of releasing lay and ordained vocations. Identifies as a theologian and teacher, with a desire to see people grow in the depth of their faith and spiritually. Able to develop links with the wider Parish community and build up the links already established. Relational and committed to good pastoral care across generations. Understanding of the important role that occasional offices play in the missional life of the Church. Experience of working in schools. Experience as a school governor. Can demonstrate an understanding of how Teams work and how you develop them. The Turton Moorland Team Ministry consists of four parishes, with six places of worship. Its location covers an area to the north of the town of Bolton which varies from urban fringes, local authority housing and light industry, through leafy suburbs and commuter-belt villages to the wild moorlands of its name and rural settlements. Each congregation holds its own challenges in terms of mission, ministry and pastoral support. The Team itself is developing and finding its feet as the parishes learn to work together. Their new Team Rector will continue this process, uniting the Team’s components and creating a ministry where the whole is greater than the sum of its parts, harnessing the passion and commitment of parishioners to find new ways of attracting disciples whilst holding fast that which is good in the traditions they cherish. The Team is part of the Walmsley Deanery, within which a breadth of church traditions is evident. 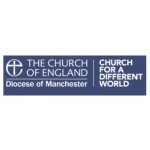 As part of the “Fit for Mission,” strategy, the Diocese encourages a flexible model of working within Deaneries, in which parishes and other expressions of church are organised for mission in a variety of ‘units’ appropriate to their context and circumstances, with an emphasis on PARTNERSHIP. As part of this process Walmsley Deanery is in the process of reflecting on how we can do things differently moving into the future. Generally, attendance at chapter meetings and Deanery Synod meetings is good and clergy within the deanery, including those in the Turton Moorland team have valued the support afforded by the Chapter and Synod. The Deanery also has a very active Mission and Pastoral Committee which regularly reviews the Deanery Mission Action Plan.